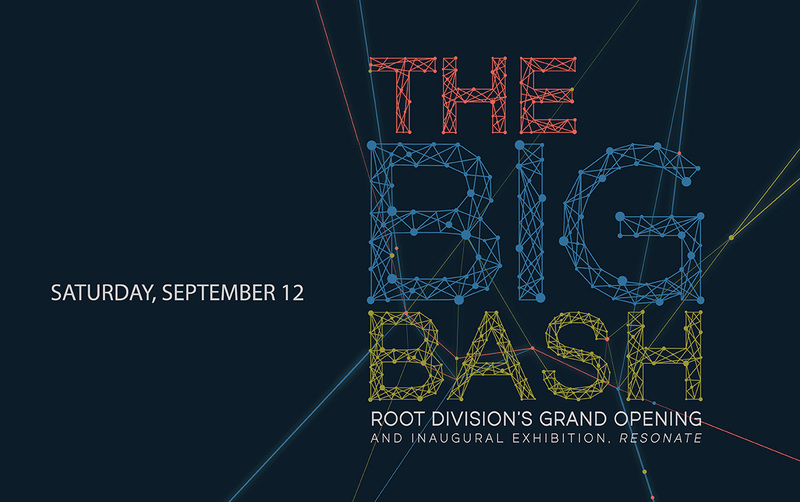 Join us for The Big Bash, the grand opening celebration of Root Division's new 13,000 square foot facility at 1131 Mission Street (at 7th)! This free public event features an engaging inaugural exhibition, special activities for all ages, and a celebration of our ongoing commitment to support the cultivation of community based arts in San Francisco. Check out our new multi-level facility! Engage with interactive works in the Inaugural Exhibition, RESONATE. Meet Root Division Studio Artists, and peek inside their new light-filled studios. Grab some refreshments in our new larger classroom while perusing the schedule of upcoming workshops and classes or get creative on the spot with hands-on art activities. All this, plus feel good knowing that supporting Root Division also means supporting emerging artists in teaching free after school art classes to underserved youth in San Francisco. There's so much to celebrate! Click here for more info or to read the full press release. Click here to learn more about public transportation and parking. Learn more about our full schedule of evens, public workshops and family programs in conjuction with The Big Bash.